Whistleblower Edward Snowden has criticized the UK for playing an active role in the worldwide surveillance network set up by the US National Security Agency (NSA), saying the rights and needs of British citizens are being sacrificed. “Why is the UK government so secretive? What is it so afraid of – its people? They are afraid of a damaging public debate,” said Snowden during a Q&A video link with London hosted by the human rights group Amnesty International. “Because if we the public knew about what they were doing, we could bring legal public challenges against their activities and succeed… The UK government isn’t trying to preserve civil liberties, but to limit them,” he argued. During the 40-minute session ahead of a special showing of Citizenfour, the Oscar-winning documentary about the whistleblower himself, Snowden repeatedly dismissed big-data surveillance as “ineffective” for catching terrorists, but said it allowed the government to pry into the lives of law abiding citizens. Snowden, whose trove of data, leaked in 2013, turned the attention of the mainstream media to the topic of government surveillance, also said that UK news outlets were not doing enough. Snowden said the UK’s security agency, GCHQ, along with other US allies, was also irresponsible in letting the NSA install surveillance technology, and dictate how it is used. “Even the systems that are operating in the United Kingdom are designed by the NSA, so you are getting US spy equipment placed in your country, and the government simply trusts the NSA to give them something that doesn’t have a backdoor, that they won’t use it against you,” said Snowden. “David Cameron is in the databases alongside everybody else,” said the whistleblower when asked about whether US agencies had access to the records of top UK public figures. On Tuesday, Snowden was awarded the prestigious Bjornson prize by the Norwegian Academy of Literature and Freedom of Expression. The Academy has written to the country’s government, asking that Snowden be given diplomatic protection to enable him to collect the prize in person. 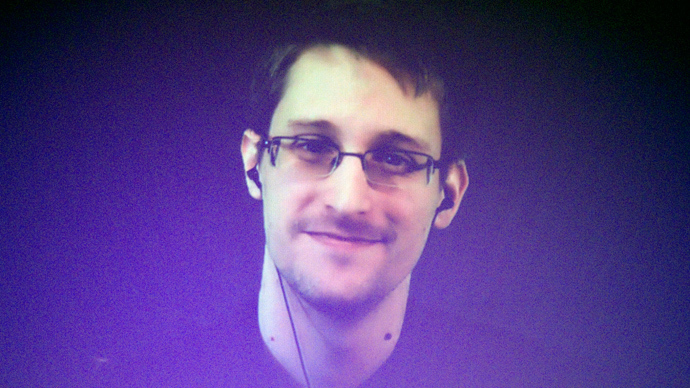 Snowden currently lives in an undisclosed location in Russia. He fled the US in the summer of 2013 and applied for asylum in over 20 countries before eventually receiving it in Russia. He is subject to extradition to the US, where he faces charges for divulging classified information. However, Norway’s Academy believes that it is essential to allow Snowden to come to the country and show that Oslo has its own independent political will. “I believe that the Norwegian government should show enough courage to let Snowden come to Norway and then freely return to Russia,” the Academy’s president Hege Newth Nouri told TASS. “Members of the Norvegian government have to choose what they really want – show some independence in their policies or do what has been decided for them in the US,” said Nouri, who is also the National Coordinator for the Norwegian Cities of Refuge at Norsk PEN, the Norwegian division of the international writers’ club.